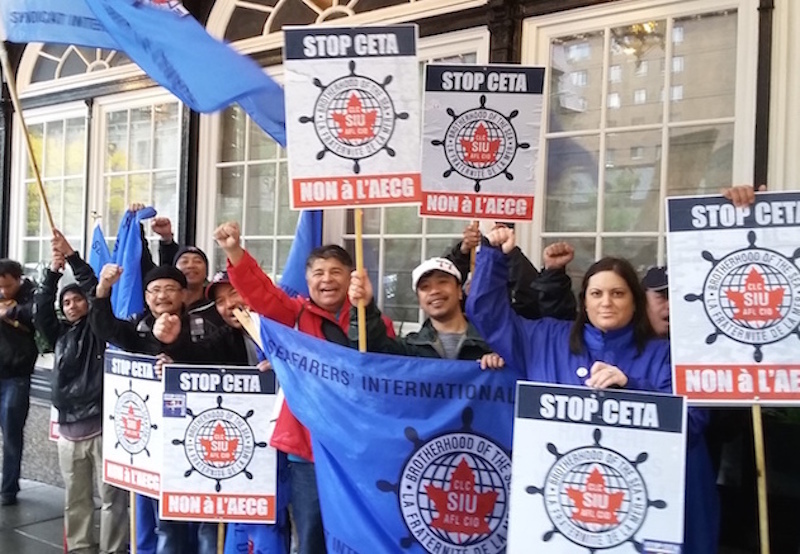 OTTAWA — "At its heart, CETA is a framework for trade that works for everyone." — Prime Minister Justin Trudeau. Last week, Prime Minister Justin Trudeau was extolling the virtues of free trade with the European Union, known best by its acronym CETA. In his speech, Trudeau talked about better incomes for workers, entrepreneurs who will have access to new customers, consumers paying less at the checkout counter, manufacturers who can expand their global reach, and more predictability and transparency for the "engineering, architecture, and information technology" sectors. In short, he said, "CETA is a framework for trade that works for everyone." This one earns a rating of "some baloney" because it rests on your definition of "everyone." Let’s sort through it all. A 2008 joint study by Canada and the European Union suggested trade would increase by 20 per cent and generate $12 billion annually in new economic activity — a gain of almost one per cent of gross domestic product yearly in Canada. The government says the ripple effects would translate into an extra $1,000 for every Canadian family, and 80,000 new jobs nationwide as tariffs are eliminated and the price to ship and purchase goods drops. A study published in the International Journal of Political Economy in September estimates 23,000 job losses in Canada over the next seven years — a blip in the domestic job market — and 200,000 job losses in the EU. The wage impacts under the economic models used in the paper would also be different than what the government says: The authors predict that average annual earnings would decline by almost $2,500 by 2023. All this leads to a question, posed by Dan Ciuriak, former deputy chief economist at Global Affairs Canada: "Who did the prime minister have in mind when he said, ’everyone’?" Ciuriak said CETA has a small, positive effect on Canada and the EU overall under the conventional economic models, making it good for all as Trudeau suggested. And consumers in Canada in the EU are likely to see more choice and lower prices, meaning "everyone" in that sense is better off under CETA, he said. "Overall, taking into consideration that it is a political statement, rather than a nuanced, footnoted academic assessment, I would characterize it primarily as beef, not baloney," Ciuriak said. Unfortunately, beef isn’t on the rating scale — at least not yet. But given all the above, Trudeau’s comment earns a rating of "some baloney" because key information is missing. In its place, is the ability for the anyone to describe "everyone" in their own way.